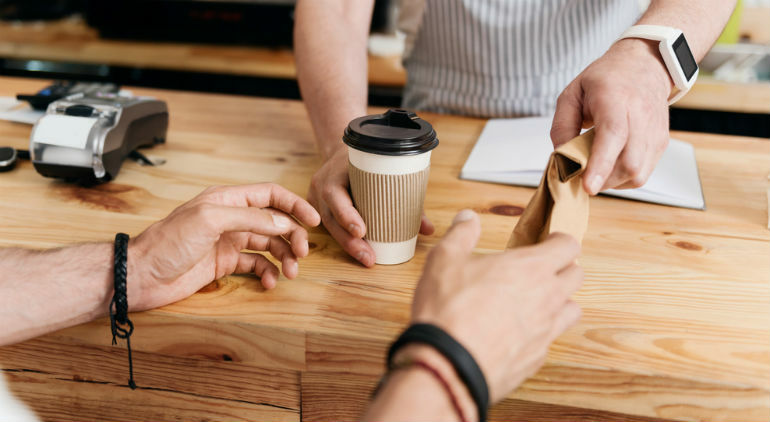 Not-for-profit organisations across Australia are part of the long-standing ethic of saving, sharing, and caring but there’s so much more to do in the collaborative economy, writes social worker Moira Deslandes. The giving culture in Australia is alive and well through donations and volunteering and we are growing in social enterprises and the collaborative economy. Doing good through giving at this time of the year through Christmas and Giving Tuesday is an opportunity to consider what the not-for-profit sector has in common with the sharing economy – which pre-existed the Uber app. For years people in NFPs have offered a lift home to someone after a meeting, brought a plate to build a shared meal, repurposed furniture from one community to another, upcycled and recycled computers – NFPs have long had an ethic of sharing, in fact it is built into the fabric of being an association which has often been the first cells for many NFPs in Australia. In other words, NFPs are hardly new to providing a contribution to the economy in the services, products and support they offer to all kinds of infrastructure that keeps our society going. The citizen scientist who rings in with their daily weather data has a direct benefit to the farmer making decisions about harvest, the volunteer at Vinnies sorting out goods for sale and distribution is working to alleviate poverty for families. We in the not-for-profit sector established a “sharing economy” a long time ago, and can in turn take up the ideas of the newer sharing economy to create a wide range of capitals (eg social, financial, manufactured, human, creative, intellectual). By entering into a fictional day in the life of a fictional NFP and mashing up the NFP ethic with that of the sharing economy we can imagine what this might look like. More and more NFPs and businesses generally are looking everyday to do more good, deep into their value chain. Some are turning their attentions to become BCorps, others are finding social enterprise pathways and others translating their intentions to do good and be good in everyday transactions. Here is a thought-provoking (imaginary) day in the life of one such NFP. Starting out in the morning the team leader grabs a coffee from a local social enterprise, coffee with a cause which can be found in many locations around the country and wonders why there isn’t an app for that so he could get more of his friends buying their morning coffee the same way all around the nation. Today he has got to the office by public transport and booked a GoGet car for a site visit in the afternoon. Two of the other members of his team have ridden in on their bikes but one dropped theirs off on the way to get a quick repair at the local Bike Kitchen. The finance team set the standard by creating a question in the procurement process about social enterprise, doing good purchasing. Since then the whole organisation (not just head office) is using Who Gives A Crap paper towels, tissues and toilet paper just for starters. There are a whole lot more ideas in the pipeline. Their application of the Suntrix for watt measurement is helping get the whole organisation and its partners closer to becoming carbon neutral. One of the jobs for the end of the week is to update the website and send a bulletin to friends and members of the organisation. The organisation uses mailchimp because it is free to an organisation of this size and they have a website provider that offered a free platform. This NFP is in the business of employment, job readiness, poverty alleviation and mental health and wellbeing. Once a week at team meetings everyone reviews ideas they have found (or clients have found) and they are entered onto the share and save map. There are so many good ideas from tool lending libraries to community garden patches and plenty of ways to connect and contribute to community that is good for your body, mind and the environment – to say nothing of building goodwill and trust in a neighbourhood. Connecting people to what is already going on around them, because around just about every corner there is something going on, is proving to be a powerful way of community building. The team in administration regularly checks out ripenearme as part of their commitment to healthy eating at the office as well as letting clients know. And all those small and not so small jobs that just need to be done quickly are now being sourced from places like Geeks on Call, Hourly Nerd and Task Rabbit. More and more of the clients are also being directed to these platforms and being supported to enter the market place. Careers are being kickstarted and incomes supplemented. An upcoming event is being organised by GOGO events and women and men from the agency are being acknowledged by a local member of parliament for their contribution to bringing down the rate of domestic violence call outs in their region (savings the local police are saying are hitting the $1.5 million mark in the first year). Instead of the usual bottle of wine and box of chocolates, your organisation has been giving gifts from Seeds of Affinity to speakers. The executive assistant to the CEO has booked the next team day at an Airbnb with a swimming pool and almost industrial-size kitchen, the five staff coming from the country are going to be staying overnight there as well and it turns out to be affordable, private and a great way to build community. The CEO has been using Uber for a short while and her driver yesterday turned out to be last year’s intern, who has finished his studies and is driving half a day a week to save up for an overseas trip. He apparently used the opportunity to pitch an idea to her about an app he has in mind for helping with volunteer scheduling so people can share their time. She had to break the news to him, someone had already thought of that – SpareTime (Yup Yup labs). Lunch back at the office is via a new product providing tasty meals created by women at home and the business has an ethic of gender equity that aligns very well with your mission. Harvest Fair is providing employment and is a long way away from Meals on Wheels (although you have heard the tech team call it that) as they love seeing the office fridge full of tasty delights and they don’t need to leave the building at lunch time. It proved to be a real bonus last week when an enormous tender was being put together. If you’re a NFP you are probably already doing some of these things, and you are definitely part of a long-standing ethic of saving, sharing and caring. Share examples of your sharing economy practices in the comments! Here is a list of sharing and collaborative economy tools and, as it is the giving season, how about thinking of Social Traders when you are ready to shop? The author has no pecuniary interests in any of the businesses included in the article. 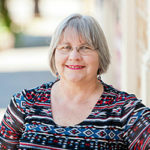 About the Author: Moira Deslandes has worked from the kitchen table to the cabinet table as a direct service social worker, to chief of staff to a minister in government.